The 10th annual Mundos Digitales in La Coruña, Galicia, Spain, presented me with its Special Award on 9 July 2011. As part of this award, I was given an audience with the Mayor of La Coruña (A Coruña in Galician dialect) in the palatial city hall, signed the City Book, presented another trophy, and took part in a press conference. My wife and I were also treated to a special guided tour of the marvelous new Culture Center by Peter Eisenman in Santiago de Compostela and of the famous cathedral in that ancient city. 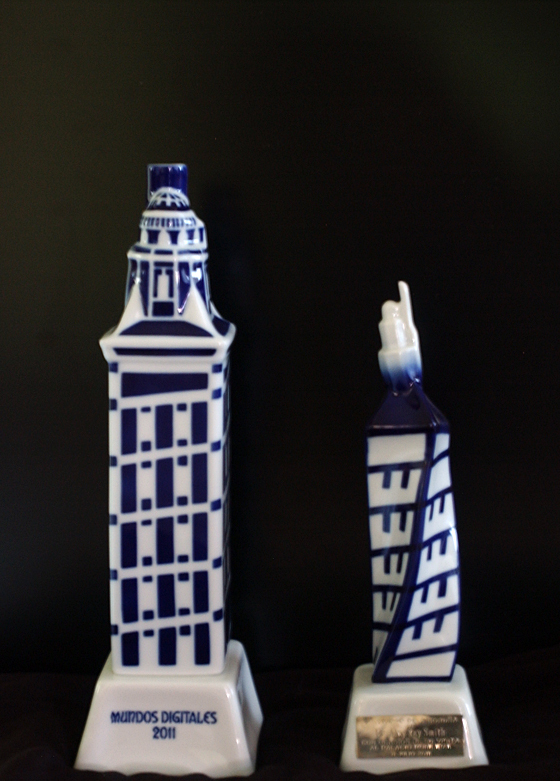 Both awards are ceramic renditions of the Tower of Hercules, a lighthouse in A Coruña built by the Romans about 200 BC and still in use. The Torre de Hercules is of course the symbol of this city at the end of the earth (as it was thought to be until the discovery of America).